The HOH PTO Family Prom will be this Friday from 5:30PM to 8:00PM. 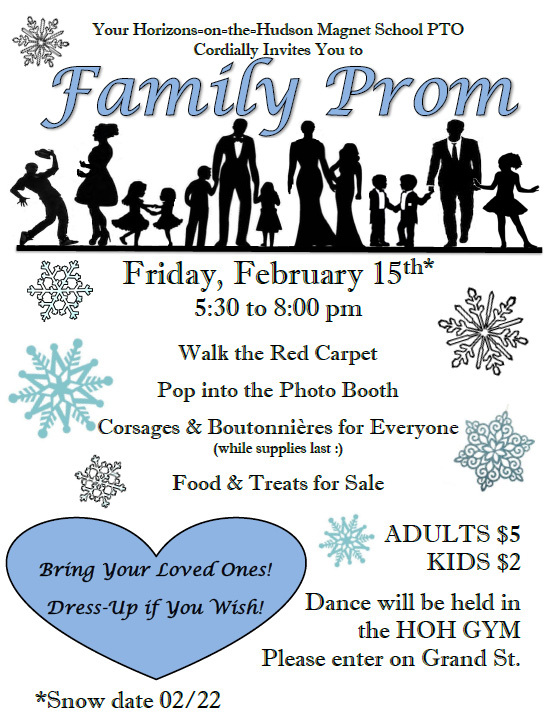 Walk the red carpet, pop into the photo booth, corsages and boutonnieres for everyone (while supplies last), food and treats for sale, and dancing. $5 Adults, $2 Kids. Bring your loved ones and dress up if you wish. Dance will be held in the HOH Gym. Please enter on Grand Street.